As we look to the future, we want to create the right values to help us achieve our long-term vision and build a lasting enterprise. 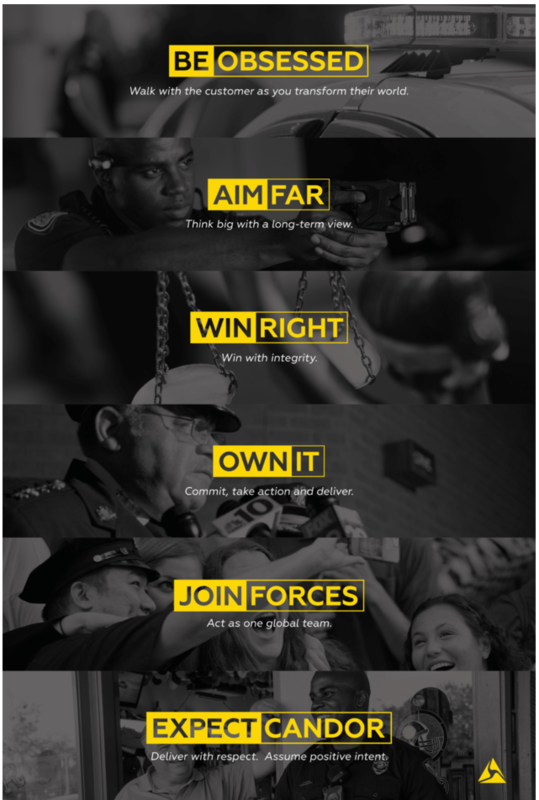 These values guide who we bring on to the team and how we steer the company. We live and breathe these values and hold each other accountable to them by giving immediate feedback when we falter. We strive to weave them into every aspect of our quest to create a better future. We want to push society forwards in ways that they can't imagine. We're passionate about finding value in unexpected places and are relentless in aiming for the future. We don't want to be the fifteenth or sixteenth player in a space. We want to reinvent the world to be a better place and understand the short-term risk of that enterprise. The opposite of success isn't failure, it's not trying. We've failed spectacularly a few times, but that's what you get when you aim for the stars, and that's our final destination. We are fiercely competitive and have an unquenchable thirst to win, but we temper that mindset and certainly do not have a win-at-all-costs mentality. We don’t think that winning and doing the right thing are mutually exclusive. Our challenge is to make them synonymous. Winning by cutting corners isn’t winning. We might miss a quarter or a product delivery date but we will never compromise our integrity. Put simply: Aspire to be the best and do so by delivering results with utmost integrity. We are committed to every individual who makes up our team. We're not only interested in pursuing our vision and mission, but also in doing it in such a way that creates a purpose-driven journey for everyone in our company. The core essence of this is ensuring that people know that the work they do matters. In the Wright brothers' biography, there is a passage that describes a scene where the Wright brothers' nephew observed them working in their workshop. The boy assumed they were just tinkering on bike parts and, only in retrospect, realised the historical magnitude of what he had observed – Wilbur and Orville building a prototype of the first glider. Like any major endeavour, our work, at times, can seem very ordinary. If we take a step back, it is anything but ordinary. We are a very unique company and no one else in the world can deliver the significant progress to which we're committed. We should never overlook the importance of the work we are doing. The products that we make are not a single answer to the complex societal tensions we feel today. We don’t presume to have a panacea for these very convoluted incidents. We are confident that we can be part of the solution, and countless scientific studies have shown that our products can affect and drive positive change. We are continually pushing society forward with technologies that protect life in new ways, from Smart Weapons that protect life in the moment of conflict, cameras that depict the truth and help prevent civil unrest, and automated reporting and evidence management that will triple the amount of time officers can spend serving their communities. We must be part of building a better future. The world needs us. For more of Luke's thoughts on leadership and building a purpose-driven company, check out this recent podcast he recorded for Y Scouts.